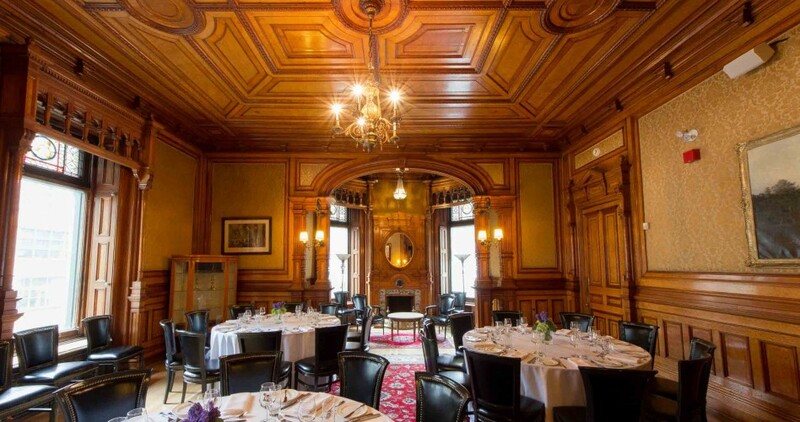 Ideal for breakfast meetings, stately dinners and intimate celebrations, Bar George offers a selection of striking private dining rooms, tucked away upstairs in the mansion’s former quarters and downstairs spaces. Exhibiting grandeur and opulence of a time passed, the rooms have been revitalized with stylish furnishings that complement the ornate heritage details. Intricate wood paneling, grand fireplaces and sublime stained glass windows afford a sense of luxury unlike any other space in the city.